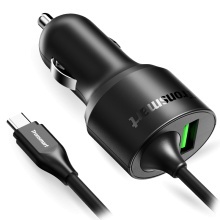 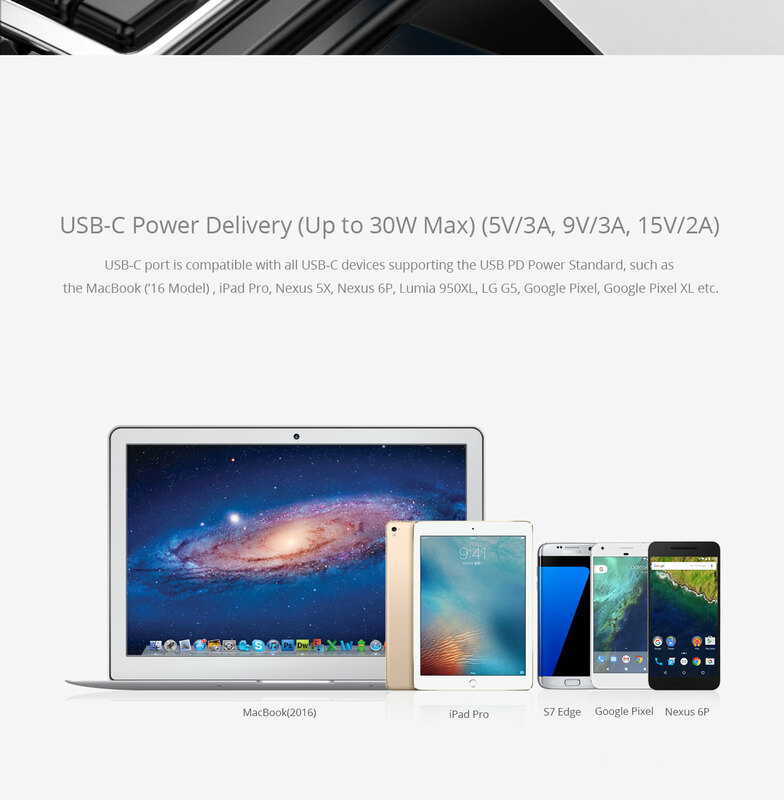 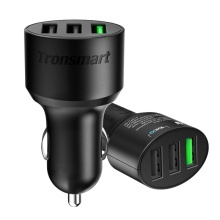 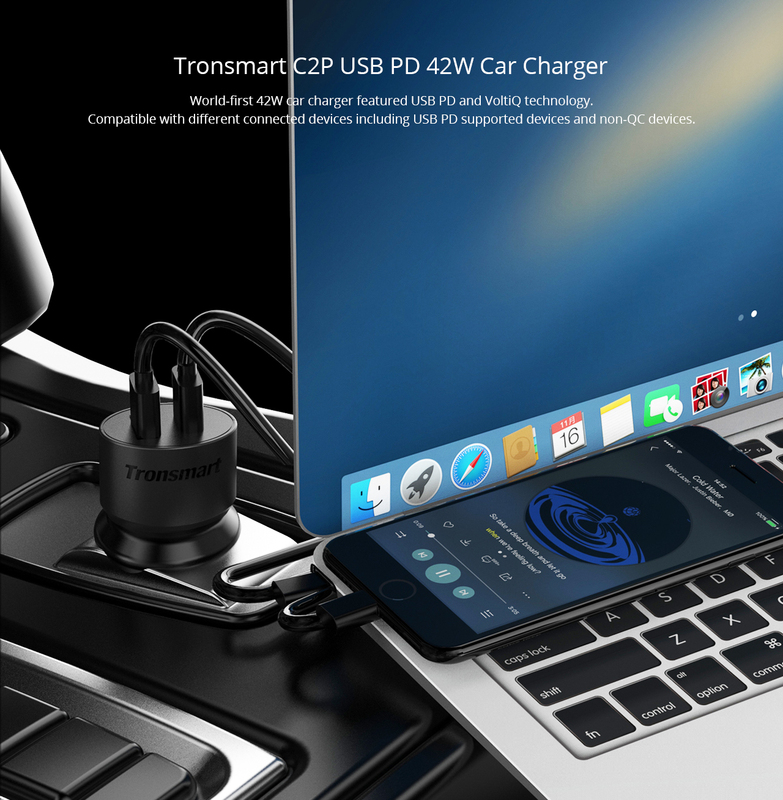 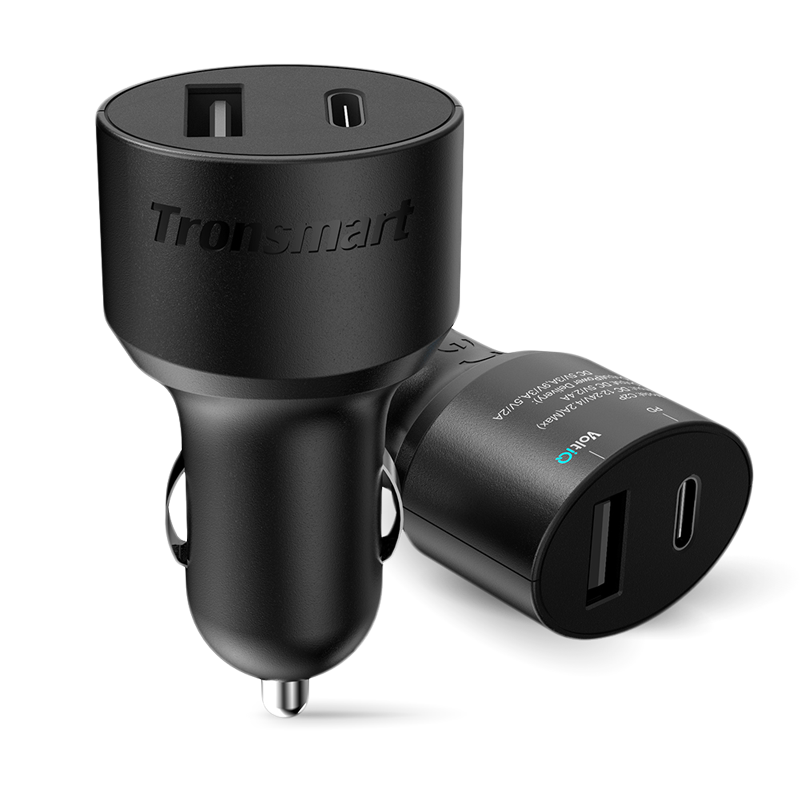 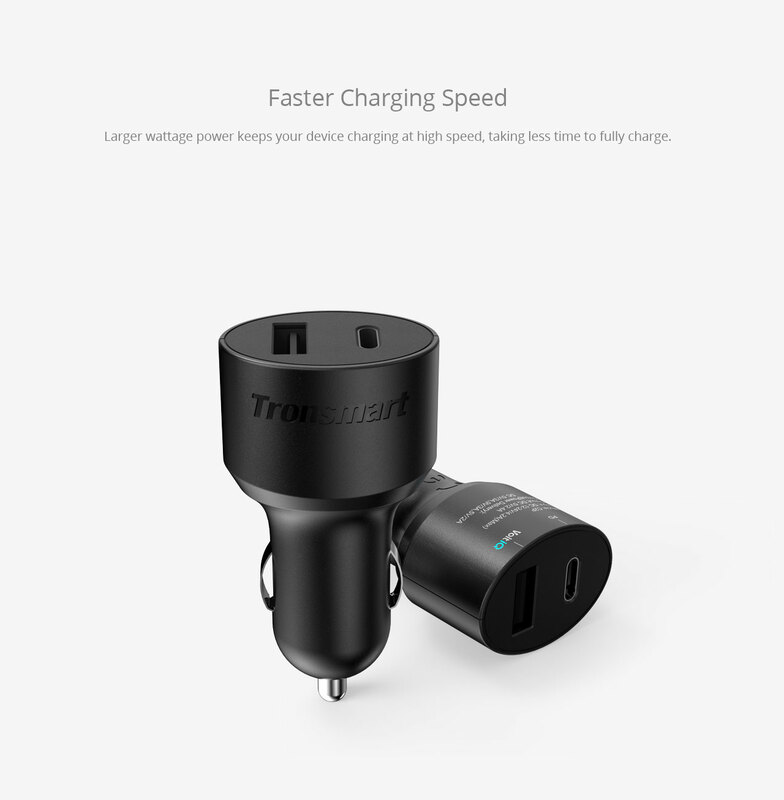 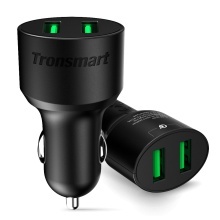 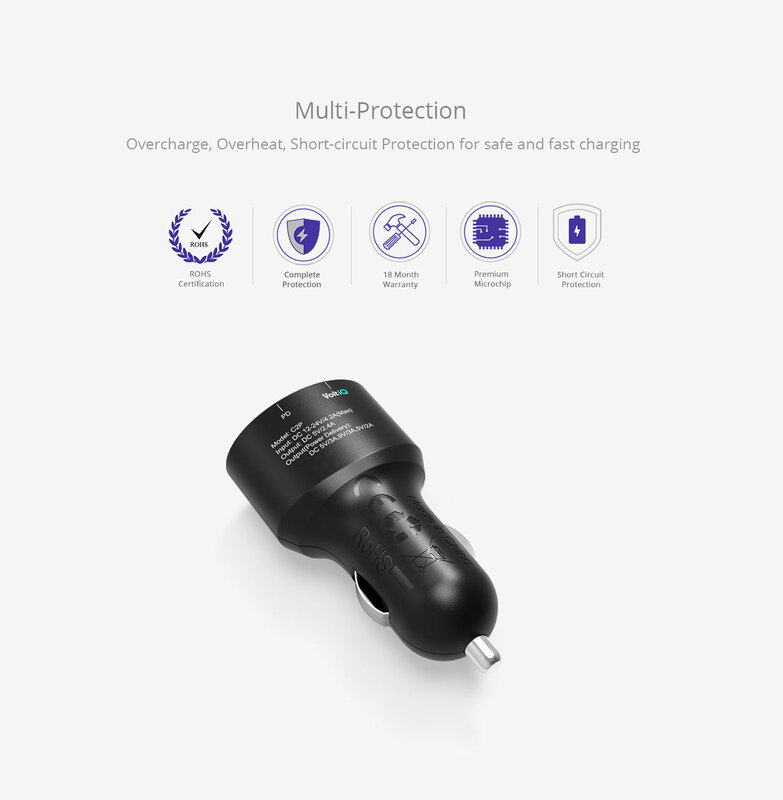 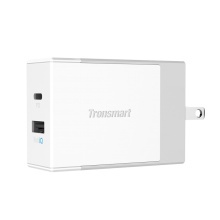 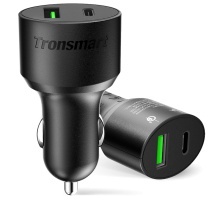 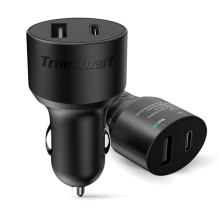 Tronsmart C2P Dual Port Car Charger with Power Delivery via USB Type-C for iPhone 8, iPhone 8 Plus, iPhone X, iPhone XS, Max and XR, Google Pixel/Pixel XL, MacBook (2016 Model), iPad Pro and VoltiQ technology for all mobile devices. 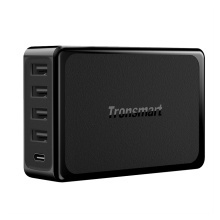 Outputs up to 42W. 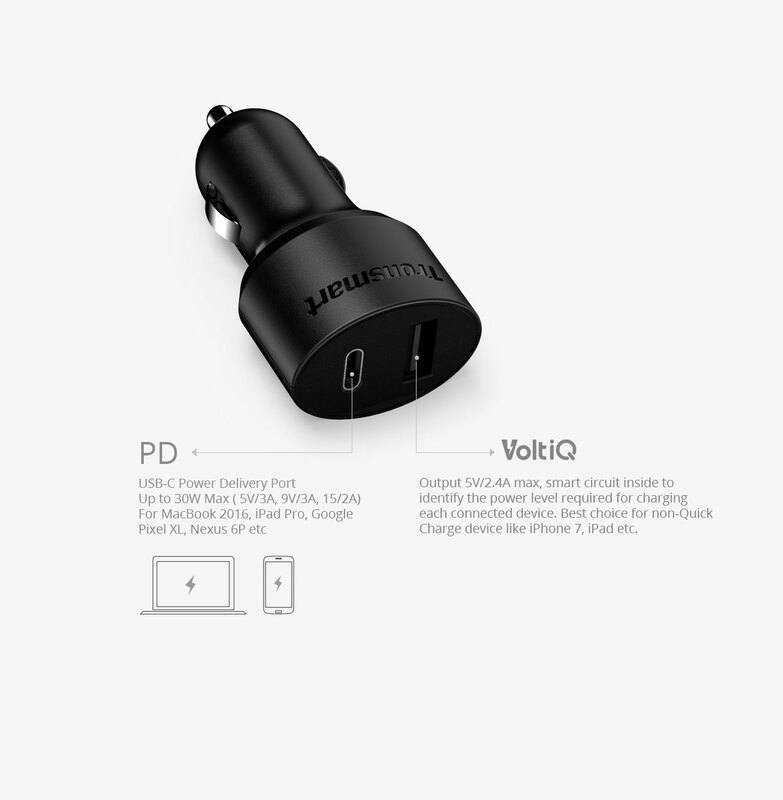 The VoltIQ technology, as an ideal solution, fixes it once for all. 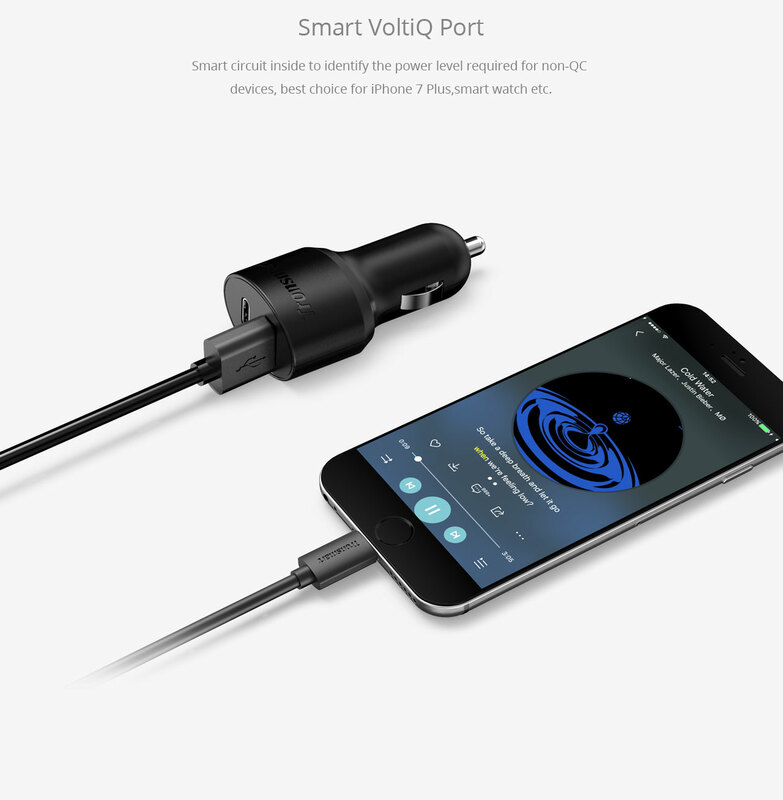 It automatically adjusts amperage and wattage to the maximum ratio required by the device, so that more current-hungry devices are not starved and less current-hungry devices are not over-allocated resources.